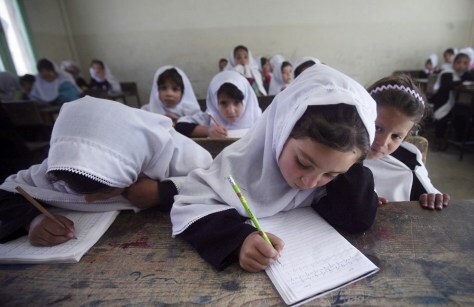 Girls attend a class in Asheqan-O-Arifan school in Kabul in March, 2009. About 45 million books were supposed to arrive before classes started in March last year from the United Nations and American and Danish aid agencies, at a total cost of about $15.4 million. But there were delays even before a printing contract was signed.